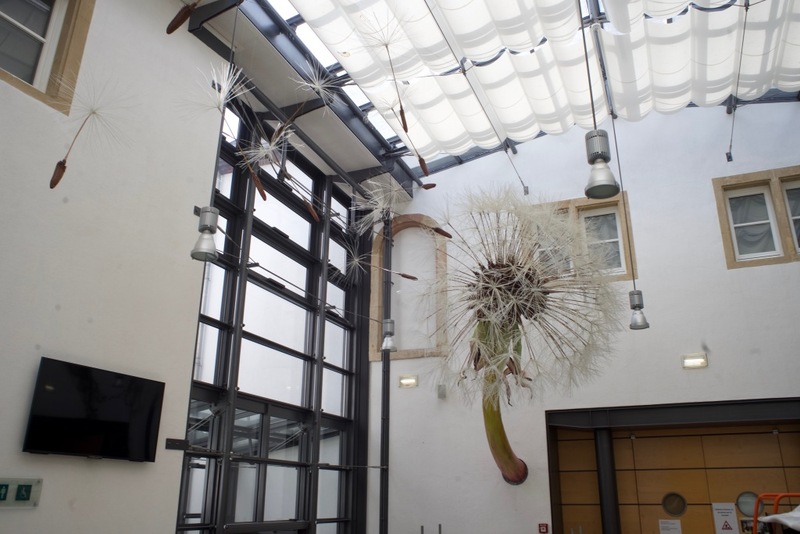 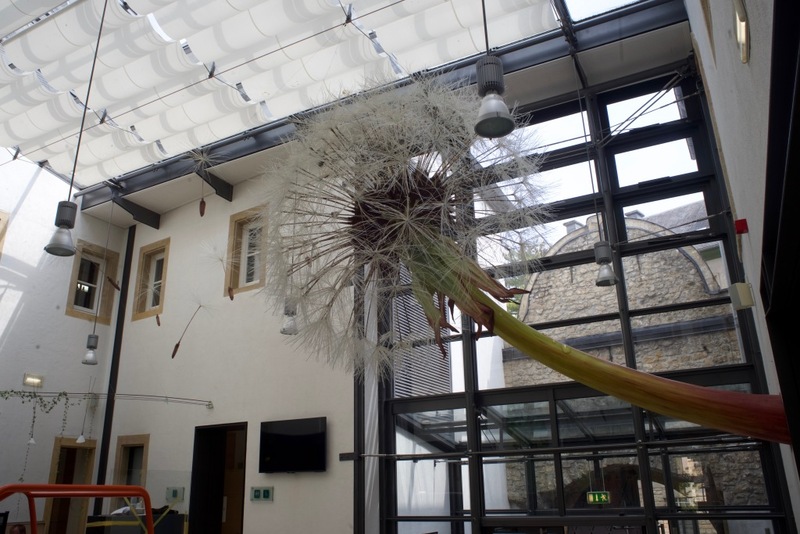 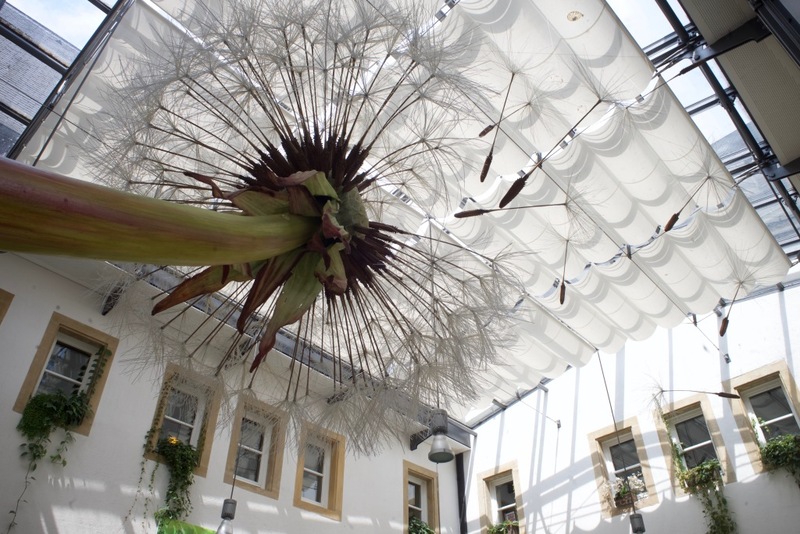 Natural History Museum in Luxembourg asked us to make a huge Dandelion blow ball for their foyér. 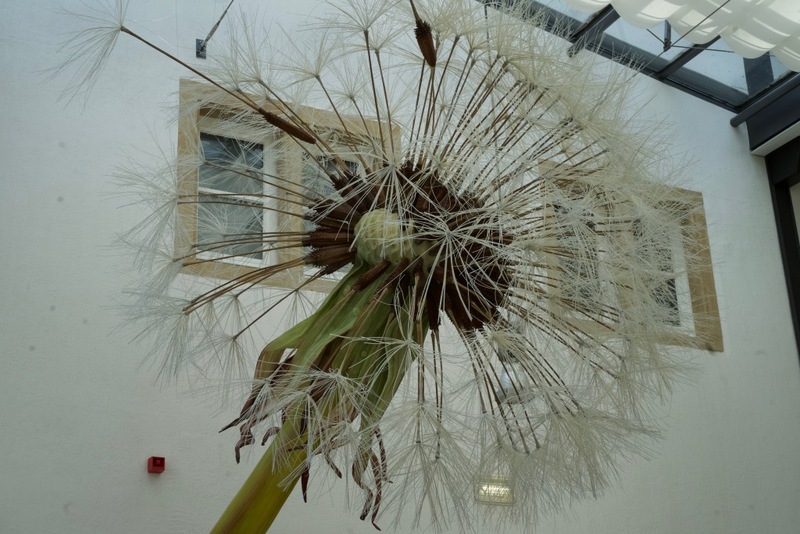 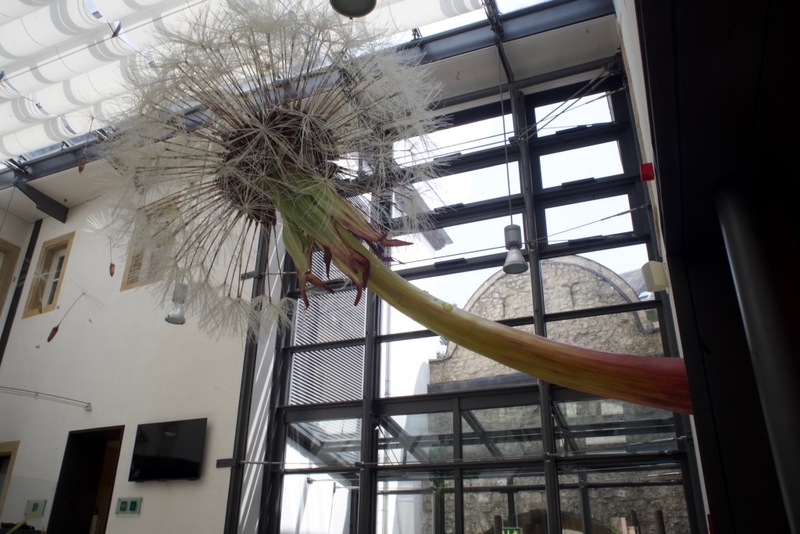 We designed this giant with a 2,5 m. blow ball, with seeds drifting through the room. 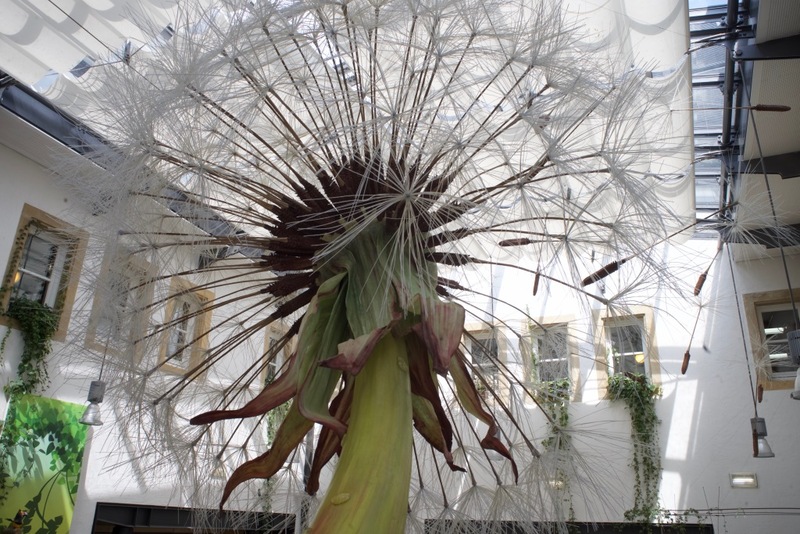 The Dandelion is cast from fiberglass. 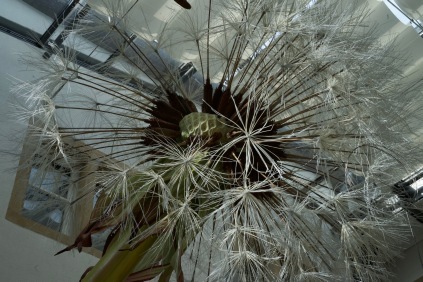 Seeds are cast of a 3D print form a scan of a real Dandelion seed.